Hi lovelies! Today, I decided to make a quick post on one of my favorite bath soaps that I bought from All Organics. As you can see, I’m always doing a review on organics stuffs that I currently love because of its effectiveness. What is All Organics Bath Soap? - assists in the prevention of liver spots and other blemishes caused by aging and over exposure to sunlight. 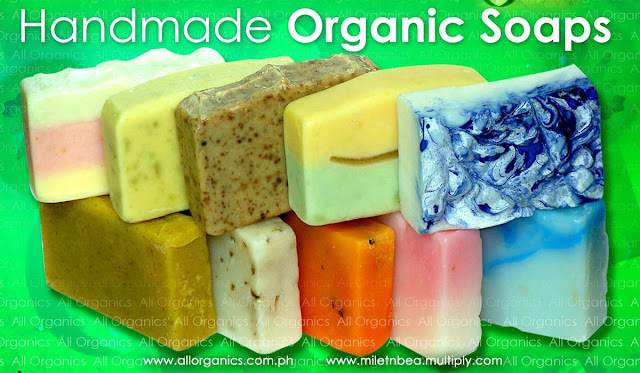 So now, I present to you All Organics Bath Soaps in Calamansi. The Calamansi extract in Milea's Organic Calamansi soap is particularly useful in eliminating strong and harsh odors, especially the distinct smell that accompanies fish that may linger on hands or a cutting board. It is also use to lighten dark spots and clarify the skin. Citrusy scent. It really does fight body odor. It moisturized my skin and lightens my underarms. Feels squeaky clean after use. The batch number and date of production is printed on the label. I give this soap a 5/5 rating. I've been very loyal to this soap. I’m using it for more than a year now. I’ve tried man organic soap from different brands and this is my HG as of now. I use this for my face and body. I really love this soap! 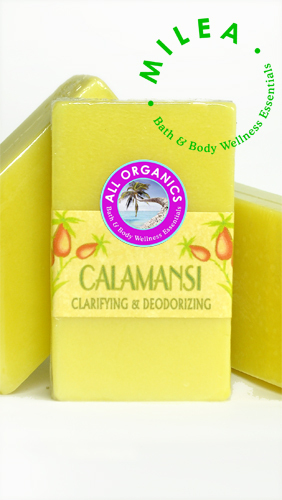 For everyone who loves the scent of citrus, wants to lighten their skin and fights body odor. Leave the soap for 2 to 5 minutes for full absorption of the product. Since this is an organic soap, it tends to melt fast because it does not contain any soap hardening ingredients. I always cut the soap into half so that it will not melt easily. Always store the soap in a cool dry place and if possible in a soap dish that has holes in so that air can let it dry. That's all for now. One day to go and TGIF! Take care. hi~ have you tried All Organics Papaya soap and Cycleine Papaya soap with goat's milk? I wanna buy a very effective papaya soap but Likas papaya is not as effective as before, I guess.. Which brand of papaya soap would you recommend? Thank you Ms. Kath~! @Anonymous- hello! 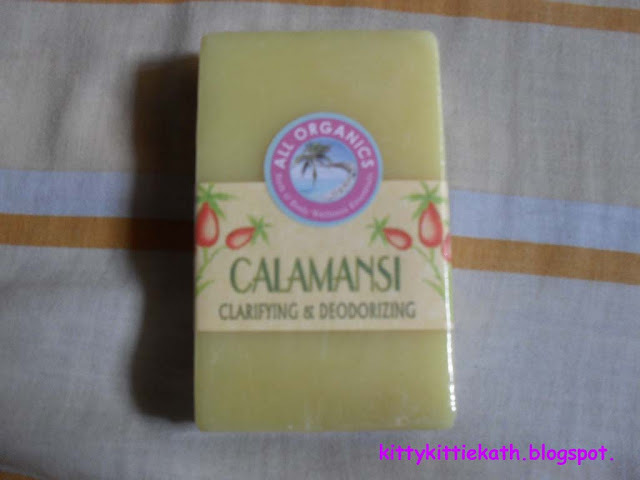 I already tried the All Organics Papaya with Glutathione Soap and I have reviewed it here on my blog. If my memory serves me right, I've tried the Cyleina Papaya Soap with Goat's Milk too but that was long long time ago na. I recommend the Be Organic Kojic Papaya soap if you want to lighten marks while moisturizing your skin or the All Organics Papaya with Glutathione that works the same with Be Organic. Both less than 100 php. HI Thanks for the response Ms. Kath.. Does Cyleina Papaya soap with Goat's milk have drying effect on skin? @Anonymous- The Cyleina papaya with goat's milk soap will not dry out your skin kasi it's made for sensitive skin din.